Lenses are particularly susceptible to fungus in humid climates. I was reminded of this recently when checking my camera gear I found three lenses which I quickly took in for servicing. Thankfully there’s a fabulous camera service shop nearby that charges only a small price for cleaning. He even cleaned one lens for free as the fungus was minimal and only on the outside element of the lens. Fungus is a microbial growth that grows on the surfaces of camera lenses. It’s a disease and it’s very common, especially in humid climates. Often it causes only minor damage, but I did see a lens once that had so much fungus in it I could not see through it. 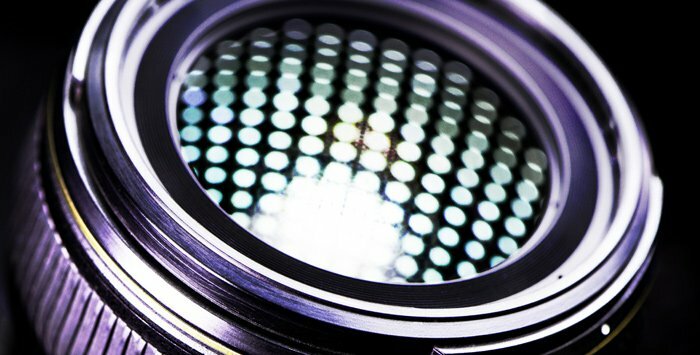 Lens fungus gets inside your lens and can affect the inner elements. If there’s mold on the exterior it’s easy enough to remove. But if it’s significant, there will be damage to the glass. Fungus growing between the glass elements of your lens will require a skilled technician to clean. The lens will need to be dismantled and then rebuilt. Preventing fungus is the best approach. Because once a lens has serious fungus growth the glass can become permanently damaged. Here are my tips for helping prevent this problem. 1. Wipe down your gear after using it. Particularly if the weather is wet or humid. If the weather’s hot and you were sweating while using your camera it’s certainly a good precaution to wipe it down. I use a slightly damp, lint-free cloth. I usually use two different microfibre clothes. One more absorbent and one for lens cleaning. Once you’ve wiped your gear down carefully, placing it in front of a fan for an hour or so will help evaporate any remaining moisture. 2. Store your camera gear in a sealed box or case with a good amount of silica gel. The box can be as simple as a high-quality food storage container for a smaller camera, or a Pelican case. The small packs of gel that come with consumer goods are pretty useless as they contain too little gel to be practical. I prefer a reusable gel which changes from blue to pink as it absorbs moisture. When the gel is pink it can be microwaved to reactivate it. It will dry out and turn blue again. 3. Keep your equipment in an airconditioned room. A room at a constant temperature with low humidity is a great way to store your gear. One drawback may be that in a very hot climate each time you take your gear out to use it you may find it fogs up due to being cold from the a/c. Adjusting the a/c so that it’s not too cold will help with this problem, but it might not be the most comfortable for people using the room! 4. Use a dehumidifier in the room. This is a very practical home appliance in humid climates. A good dehumidifier will not only help keep fungus from growing on your camera gear, but it will also help protect your books, artworks and other appliances from attracting mold. 5. Dehumidifier dry cabinet. These are designed and built specifically for storing camera equipment and come in various sizes. These units are digitally controlled, quiet and heatless. Taking good care of your lenses is well worth it. I still regularly use some of my old, manual focus lenses I have owned for over 25 years.